ROCHESTER, N.Y. – We all know how dangerous smartphones can be in the hands of drivers, but new research has discovered handheld devices are even hurting drivers who put them away while they’re at the wheel. According to the Insurance Information Institute, the average insurance premium rose to $926 last year. That’s a 16-percent spike over the last five years. Insurance companies argue the raised premiums are required to cover an increasing number of claims, many of which are caused by distracted drivers. 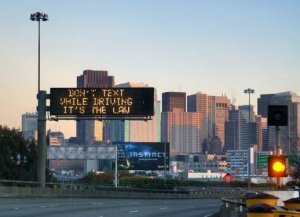 The Washington Traffic Safety Commission recently conducted a new study, which found that smartphone use increases a driver’s accident risk by 23 times, and it’s already the most common form of distraction on the road. Other polls have estimated that more than 40 percent of Americans text and drive, so it’s no surprise that accidents are on the rise. Although only a portion of fatal accidents have been attributed to distracted driving, car crashes in general have skyrocketed. These include small fender-benders, often caused by inattention at the wheel. A Rochester car accident attorney at Cellino & Barnes estimates that distractions are a factor in as many as three out of every four crashes today. Insurers see the trend too. Looking at all types of accidents, they’ve determined that distractions play a major role; and these accidents are costly. So costly, that you could see your insurance premium go up – even if you turn your smartphone off while you’re driving. Rochester car accident attorneys say the premiums could be slowed down, and in many cases, you could avoid getting slapped with a personal injury claim by putting the cell phone down in the car. Unfortunately, not everyone will follow this suggestion, and it creates many dangerous situations on the roads. If you or a loved one has been injured by a distracted driver, the Rochester car accident lawyers at Cellino & Barnes can help investigate your claim. In many cases, a strong legal team can prove a driver was distracted, which could increase the value of your case. Contact an experienced and local attorney at Cellino & Barnes today for a free case evaluation. 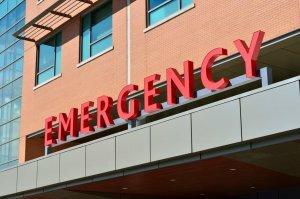 NEW YORK – A new analysis of hospital statistics found that over 200,000 people die each year in hospitals; and their deaths were preventable, if they were properly treated by doctors and hospital staff. The findings were published in the latest addition of the Journal of Patient Safety. According to their research, medical campuses often have the knowledge to prevent accidents, but they tend to cut corners in the financial books. The report calls on hospitals around the globe to invest more into patient safety, which could include mandatory nurse-to-patient ratios, which have been linked to fewer cases of medication errors, pressure sores, and falls. Study authors admitted that their data does have a slight flaw, as the statistics included older and sicker patients, but researchers argued that the 200,000 preventable deaths may be an underestimate. That’s because their research didn’t include diagnostic errors, which are some of the most common slip-ups in the medical community. Researchers noted that the numbers add-up to over 5 preventable deaths each year, per hospital in the U.S., or one every five weeks. In addition, researchers believe that figure could be doubled or tripled if their data accounted for diagnostic errors. Medical errors are very common in the United States, and many families have felt hopeless when they tried addressing the issue with the doctors directly. At Cellino & Barnes, our New York medical malpractice lawyers have helped many families get justice after an accident in a hospital. They understand how difficult it can be to get fair compensation for a medical incident, but our lawyers are trial-tested, and they’ve helped our clients obtain over $2 billion in settlements and verdicts. If you or a loved one has been injured or killed as a result of someone else’s mistake, you could be entitled to significant compensation. Contact a New York medical malpractice attorney at Cellino & Barnes today for a free case evaluation. NEW YORK – The snow storm on Thursday brought nine inches of snow to the metro area, and it created some slick conditions that have frustrated, and even injured New Yorkers for days. The storm not only coated city streets with a layer of snow, it also made sidewalks and pathways messy for the millions of people who use them to get to work. As the snow plows cleared the streets, it left some icy areas on sidewalks where the snow banks could build-up. In most cases, someone is responsible for moving that snow from pathways, but that doesn’t always happen in a timely fashion, if at all. A Brooklyn slip and fall attorney at Cellino & Barnes says most property owners have a few hours after a storm to remove snow and ice from sidewalks, entryways, and staircases. The dangerous aspect of icy sidewalks and stairways hit headlines on Friday when a New York doorman slipped on a step and crashed through a glass door. The broken glass caused a deep cut, which ended up killing him, DNAInfo reported. Similar slip and fall accidents across Brooklyn have resulted in broken bones, torn ligaments, ruptured disks, and concussions. It’s difficult to estimate how much business owners have budgeted for snow and ice removal, but the city set aside $88 million to clean-up snow this winter alone. With more than 2,300 snow plows and spreaders in city, that job can be done rather quickly. Clearing the snow and ice is often a more grueling adventure for property owners, who often do the work manually. However, it’s a responsibility that could help save entire families pain and suffering. Falls are some of the most common accidents behind emergency room visits in New York City, and there’s clear uptick of slip and fall incidents during the winter months when the snow falls, melts, and solidifies into icy mounds. 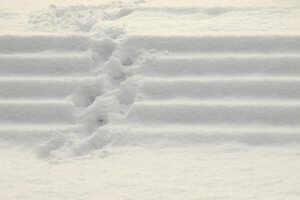 If you slip and fall on an icy sidewalk or staircase, it’s probably not your fault. In fact, victims may be entitled to compensation in many cases. The Brooklyn slip and fall lawyers at Cellino & Barnes have helped many New Yorkers maximize their compensation by fully investigating the incident, including how long it took property owners to address the problem. When winter is at its worst, all New Yorkers must do everything they can to make public – and private – pathways safe for everyone else. If you’ve been hurt, contact the Brooklyn slip and fall attorneys at Cellino & Barnes today for a free case evaluation. NEW YORK – Our city is a beautiful place to take a walk, but it’s becoming risky to stroll through some neighborhoods. It’s not crime you’ll have to worry about – it’s the deterioration of some pathways. Some neighborhoods feature walkways and steps that are overgrown with weeds, falling apart into debris, or they’re just uneven, making them dangerous for anyone who uses them. According to the Riverdale Press, residents are expressing concern over the shape of the pathways and staircases in the northwest Bronx. Even community board members say most of the walkways are in a state of disarray. The problem has become so prevalent that neighborhood leaders are developing “report cards” for area pathways. This problem isn’t specific to the Bronx; in fact, there are walkways all over New York that are crumbling to the point where people can get seriously injured. 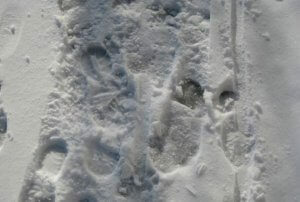 Some paths are difficult to navigate in warm, sunny conditions. An overgrowth of plants and weeds obstruct some walkways from being usable. And when colder weather hits the Big Apple, water becomes the real problem, coating the already dangerous walkways – both public and private – with a layer of ice. Thousands of New Yorkers use these pathways every day to get to work, school, or local marketplaces. Depending on the location of these crumbling walkways, the responsibility to keep them clean and safe may fall in different hands. Most public paths are maintained by the Transportation Department while others, such as those in an apartment complex, could fall under the responsibility of private owners. In either case, there is an obligation to keep any walkway or staircase in a clean and safe state. In many cases, there is work being done to correct the problems, but until New York’s crumbling sidewalks and staircases are fixed, someone could get seriously injured. Falls are one of the leading causes of accidental injury in New York. These injuries can often be traced back to negligent property owners who failed to maintain their paths, or clear them of snow, ice, or other debris. When a person gets injured in a trip or slip and fall accident, the medical expenses can often exceed $15,000 or more. Dealing with negligent property owners or cut-rate insurance companies makes the problem even more frustrating for victims, who are already struggling to pay the medical bills or get to work. If you’ve been injured after tripping or slipping on a crumbling pathway or staircase, there are people who can help. The Bronx slip and fall lawyers at Cellino & Barnes have been trusted by New Yorkers for over 50 years, and they have experience finding the negligent party and holding them accountable. A Bronx slip and fall lawyer can also help victims maximize their injury claim, which can help cover the costs for medical bills, day-to-day expenses, lost time and work, pain and suffering, and more. When a crumbling or slippery pathway puts you or your loved one in the hospital, contact the team that has helped thousands of New Yorkers get the best result possible. PHILADELPHIA – A pair of SEPTA Market Frankford Line trains collided at the 69th Street Terminal on Tuesday morning, pushing several cars off the track and sending several people to area hospitals. The accident happened on a turnaround loop at the end of the line at around 8:30 a.m. The Southeastern Pennsylvania Transportation Authority reported the trains were not in service at the time of the crash, and few were on board. Four people were hospitalized, including the train operator and a man who was asleep on one of the trains, Upper Darby Police reported. Officers tweeted that none of the injuries appeared to be life threatening, and no one was trapped on the derailed trains. An experienced train accident attorney said a full legal investigation could look into all the factors that may have led to the accident. A train accident lawyer will also look into the history of train derailments and accidents at the terminus and turn-around. It is not clear how fast the train was going at the time of the crash, but an experienced legal investigator can use these facts and to help train accident victims get compensation for their injuries and hospital bills. 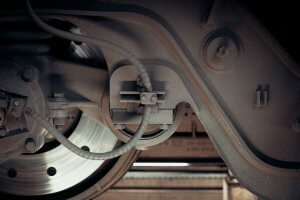 When an injured passenger files a claim, their claim can also pressure railroad companies into making meaningful changes that could help prevent future accidents. NEW YORK – Roughly 4-million Americans suffer a concussion every year – and that’s just from sports. Millions more suffer concussions in car and work-related accidents, and doctors are just beginning to find out how devastating a brain injury can be. A new study by University of Georgia researchers has found that the effects of a concussion can continue to impact a person’s driving ability, even when symptoms disappear. Researchers discovered that participants who recently suffered a concussion were likely to drive erratically at times, and in some cases their reactions mirrored those of a driver who may be under the influence of alcohol. It’s the first study of its kind to take a deeper look into how a concussion can impact a person’s driving skills. Most concussion research has been focused on how the injury impacts athletes, and study authors noted that the issue of driving after a concussion has rarely been discussed. The findings are concerning for safety advocates because it could put more lives at risk. A New York car accident lawyer at Cellino & Barnes said concussions are very common injuries, and most of the injuries don’t occur in sports. The research was conducted using virtual cars which simulated real-life driving situations. The drivers, all of whom had not reported symptoms of a concussion for at least 48 hours, consistently had less vehicle control, according to the report. In many cases drivers were swerving, or they showed a delay in their reaction time. Researchers believe the data implies that driving should at least be restricted until concussion symptoms clear, or perhaps even longer. Researchers said the next step is to determine exactly when driving abilities start to improve. They hope their information can help health officials set guidelines that could determine when driving should be restricted. Until then, there could be thousands of dangerous drivers on the road who are unknowingly impaired. If you’ve been injured by a negligent driver, a New York car accident lawyer at Cellino & Barnes can investigate your case and help determine whether another driver was fit to be behind the wheel. Concussions and other injuries should be taken seriously, and the New Yokr car accident attorneys at Cellino & Barnes have the resources to get the best doctors on your side. For a free consultation, call our New York car accident lawyers today. BUFFALO, N.Y. – Crashes in February and other winter months could cost over $185-million in additional repairs, and some states experience an extreme uptick in the number of accidents when temperatures dip. According to new research from Accident Exchange, frosty streets, wet weather and a lack of daylight cause a 15 percent rise in accidents between January and March, when compared to the summertime figures taken between June and August. The company analyzed nearly 30,000 traffic collisions and found that the most dangerous time is during the evening commute. According to their figures, winter accidents spike by 30 percent in the 5 o’clock rush hour alone, as drivers struggle with low light conditions and arctic weather. The study also determined that Friday is the worst day for car crashes, as drivers are more fatigued from a long work week. Fridays were reported to have 19 percent more accidents than any other week day. Car repairs during the months of January, February and March come with a hefty price tag as well; costing drivers nearly $200-million. A Buffalo car accident lawyer at Cellino & Barnes says that figure doesn’t include any potential medical costs associated with a car crash, which could create an even larger cost burden for drivers. 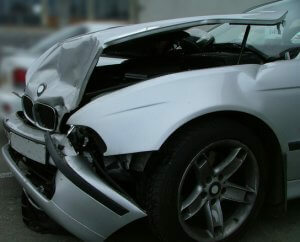 According to several insurance associations, the average claim for a car accident injury totals over $15,000. Buffalo car accident lawyers say that figure may not even cover all of the injuries or treatments, and there are several ways to maximize a claim. 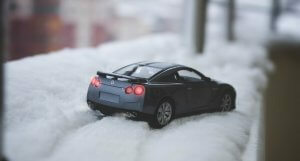 If you’ve been injured in a wintertime accident, you’re not alone. You have the right to be compensated for any injuries you’ve suffered as a result of another driver’s negligence, but it can be difficult fighting the insurance company alone. The Buffalo car accident lawyers at Cellino & Barnes have been trusted by Western New Yorkers for over 50 years, and with their no-fee promise, they won’t get paid unless they win your case, so contact an experienced trial attorney for a free case evaluation. NEW YORK – New research claims drivers – not riders – are to blame for most accidents involving a car and a motorcycle. The study, conducted at the Monash University Accident Research Centre, found that car or truck drivers often make mistakes while scanning traffic, failing to see a motorcyclist. The report looked at more than 230 accidents involving motorcyclists who were taken to hospitals, many of which were not found to be at fault for their crash. Drivers were often found to make critical mistakes in light traffic, where decisions must be made quickly, and where speed can be a factor. On the other hand, motorcyclists were more likely to be at fault in a gridlock situation. This is likely due to the fact that it’s easier for motorcycles to maneuver around vehicles, which are moving slowly in heavier traffic. Researchers also found a direct correlation between the rider’s age and who was at fault. Older riders were less likely to have caused an accident, which suggests that experience is a valuable factor that could prevent hundreds of injuries. For every 10-year increase in a motorcyclist’s age, there was nearly a 40 percent decrease in rider error, the study found. A Long Island motorcycle accident lawyer at Cellino & Barnes says as spring approaches, there needs to be a strong emphasis on protecting motorcyclists. Cellino & Barnes has been fighting on behalf of injured motorcyclists for over 50 years, and they’ve helped their clients get the best result possible from an injury claim. This experience is crucial if you or a loved one has ever been injured in a motorcycle crash. The Long Island motorcycle accident attorneys at Cellino & Barnes have investigated accidents similar to yours, and they have a proven track record of winning cases in court. When a negligent driver hits you, or causes you to lose control of your bike, contact Cellino & Barnes for a free case evaluation. 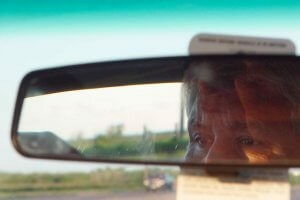 NEW YORK – Your job can be stressful, and that stress can affect the way you drive. So, it may not be surprising that those working long hours in a high-pressure environment have the highest premiums. A new report found that those who work in the healthcare industry are also some of those most likely to cause a car accident – and general practitioners are twice as likely to make a claim than other careers. Experts say those who work in medicine are typically under a high amount of stress, and that kind of pressure has a huge impact on the way they drive – even when they aren’t distracted. Unfortunately, these careers are often demanding, and it can be difficult to leave work at the office when a person gets in their car, researchers said. The new findings are not only concerning for those working in the healthcare industry – it should also concern patients and their families. Occupational health experts say high-stress professions, like those found in a hospital, can dramatically affect a person’s cognitive functions and overall health. In many cases, a person can become clumsy or absent minded, and they can often struggle to concentrate on tasks. Driving a vehicle is just one of those important tasks. In some cases, stress has been linked to medical errors. Those mistakes are now the third leading cause of death in the United States, claiming over 250,000 lives each year. A New York medical malpractice lawyer at Cellino & Barnes says almost all of these accidents are preventable, but hospitals continue to place high demands on their doctors and support staff. When any of these mistakes happen, you need someone to stand-up for your rights. The New York medical malpractice lawyers at Cellino & Barnes have represented injured victims in the Empire State for over 50 years, and they’ve helped clients obtain more than $2 billion in settlements and verdicts. An experienced New York medical malpractice attorney can fully investigate your claim, to help you and your family get the best result possible. For a free consultation, contact Cellino & Barnes today. ROCHESTER, N.Y. – Now that a fair amount of snow has fallen on Western and Central New York, the slopes are open. But skiing and snowboarding have several risks, and local emergency rooms are already reporting a plethora of injuries. New York State has more than 40 ski areas, more than any other state in the country, according to Ski Central. All of these areas have certain standards and safety regulations that ensure that visitors can not only have fun, but avoid a serious injury as well. There’s a fine line between safe skiing and fun skiing. With too many regulations, the ski resorts would likely lose business; but too few regulations could be dangerous, or even deadly. That’s why safety advocates are urging skiers and snowboarders to use extreme caution on the trails this month. Many of those who will be at the resorts this weekend haven’t been on the slopes in quite some time. Not all injuries happen on the slopes. Many accidents occur on ski lifts and near lodges. 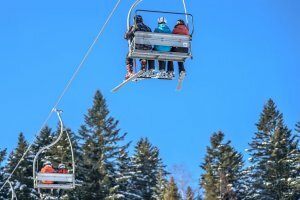 In almost every case, ski areas are required to get permits to operate chairlifts, and officials regularly inspect ski areas for possible malfunctions or safety concerns. However, not every flaw is found, and dozens of people get hurt as the result of chairlift malfunctions each year. In many cases, the injury may not be the result of a lift malfunction; operators also have a responsibility to make sure skiers safely proceed onto a lift platform and unload in an equally safe manner. Although skiing and snowboarding has its risks, Rochester slip and fall lawyers at Cellino & Barnes say most injuries occur off the slopes, at other areas where snow and ice can build-up to dangerous levels. One of the things skiers enjoy most about the sport is going to the lodge afterwards for a hot cocoa. Many of the injuries that occur at ski resorts, and other businesses in the winter, occur near establishments where melting snow and ice has puddled on the floor. Businesses and property owners have a responsibility to keep heavily trafficked areas safe and clear of snow and ice. Unfortunately, this duty is often neglected, and people can get seriously injured as a result. If you’ve fallen on slippery floor, you may be entitled to significant compensation. The Rochester slip and fall attorneys at Cellino & Barnes have helped many victims get the best result possible from an injury claim; and they can help you and your family maximize the compensation you’re entitled to. When you’ve suffered an injury, contact the firm that New Yorkers have trusted for over 50 years. Call a Rochester slip and fall attorney at Cellino & Barnes today for a free case evaluation.